This page consists of information that you need to know about our course. Firstly, our course is taught 100% online. You don't need to wait for anything in the mail and you don't need to wait a long time to receive enrolment emails. As soon as you enroll in our course you will automatically be emailed and redirected to our student page. On this page you will be given access to our two breakdancing courses, the first class is the beginner class and the second class is the advanced class. For many of the basic moves you won't need much room to work, However, for some of the more advanced moves you might need a space about 10x10 feet or larger to ensure you have the room necessary to execute the moves. Our online breakdancing course costs $29.99 and that includes everything you need to know to get started in breakdancing. We offer this breakdancing course to save you time and money. Often breakdancing courses are expensive or inconvenient to get to. 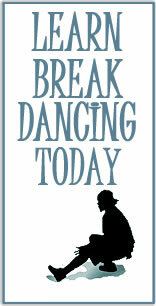 However, our breakdancing course works out to less than $15 per class. Likewise our class is taught by a breakdancing professional who won (alongside his crew) the breakdancing national competition last year. If you want to learn how to breakdance and you want to look good while you do it, then our online classes are for you. We teach you both the moves and how to look good while you execute them. If you have any questions please don't hesitate to contact us.